Highways England has announced its engineers will embark on a series of overnight closures for an eight-mile stretch of the M6 carriageway between Lancashire and Cumbria in the coming days. The work will see the installation of more than 3,000 new cat's eyes for the route, helping to deliver improved visibility and safety for travellers when the project is complete. Getting underway on Monday (July 13th) and scheduled to be completed by the end of the month, the scheme will make it easier for motorists travelling on this busy stretch of carriageway to see road markings even in the dead of night. Meanwhile, sections of the route will also undergo essential resurfacing. 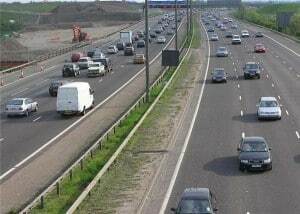 Project manager at Highways England Peter Gee said: "This scheme will result in smoother and safer journeys for drivers on the M6 as a result of the new cat's eyes, lane markings and resurfacing. "When the project has been completed, drivers should find it much easier to drive along this stretch of motorway." He added that some slip road closures will be required in the coming weeks to ensure work can be carried out in safety. Motorists are therefore urged to plan their journeys to avoid the route around junction 34 at Lancaster and Burton Services (where the project is taking place) should they plan to travel overnight. Signposted diversions will be in operation for all travellers for the duration of the scheme, with closures to begin each evening from 20:00 BST and last until 06:00 the following morning.